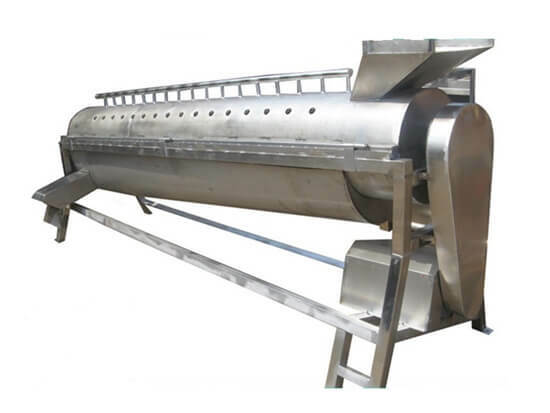 The big chicken feet peeling machine is made of stainless steel, this machine has two types, they are AMS-1000, AMS-2000,the capacities are 1000-1500kg/h,2500kg/h, peeling rate can reach 98%, with the features of high efficiency, excellent appetence. It is the most advanced and sellable chicken feet peeling machine in China. 1. 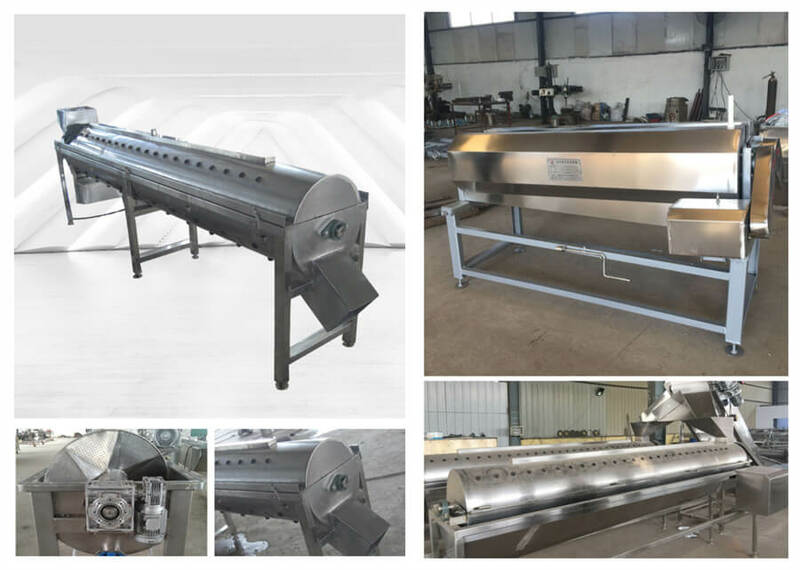 The big chicken feet peeling machine mainly used for chicken feet peeling production line. 2. 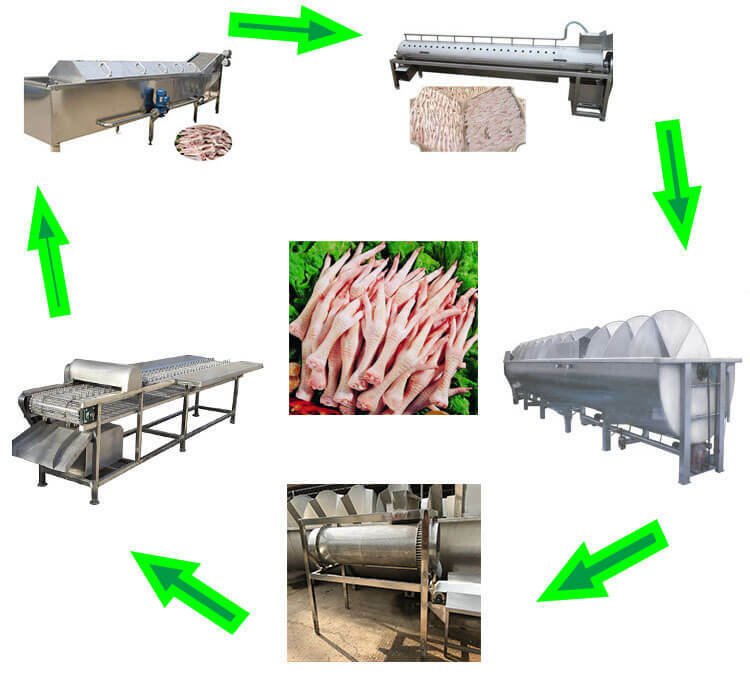 The chicken feet peeling machine is widely used in large and medium-sized chicken feet food processing factory. 3. Large capacity, high output, and fast peeling speed. 4. High-quality stainless steel, easy to clean, sanitation and durable. 5. It can remove the nails of the chicken cleanly and thoroughly. Nowadays more and more people like to eat chicken feet around the world, especially for the Muslim who have their own customs will choose chicken as their meat. The chicken feet can be made into different kinds of flavor, such as spicy chicken feet, bubble pepper chicken feet, sauced chicken feet and so on, they have high nutritional value and are rich in calcium and collagen protein, eating them not only can soften blood vessels, and also have the effect of beauty, they are very good for the health of people and become one of the delicious food of our life. The chicken feet peeling machine must be more and more popular in the market, so choose the Amisy big chicken feet peeling machine can bring infinite profit for you. When you use the machine for the chicken feet peeling separately, you should put the chicken feet into hot water (65degree) about 3-5minutes, then put the chicken feet into the chicken feet peeling machine.